Rebecca Yorke, marketing and communications officer at Haworth’s Bronte Parsonage Museum, said: “It’s hard to tell if the weather this summer has had an effect on numbers of people visiting. “With us being on the edge of the moors we benefit when it’s sunny, as people can combine a walk in the hills with a visit to the parsonage. Annabel Leydon: What’s the creative concept behind Balls? L.C. : The film was a collaboration between the Foundling Museum, the Brontë Parsonage Museum, and the Rapid Response Unit, produced by Fury Films and timed to coincide with the 200th anniversary of Emily Brontë’s birth. I took the male protagonist in Emily Brontë’s book Wuthering Heights, Heathcliff, as the starting point. In the book, Heathcliff was found as a child – so a foundling – in Liverpool in the late 18th century, so I used real archival materials from the 18th century to create a fictionalised account of his origins, based on real accounts of foundling babies and their parents at the time. A.L. :Why did you film it in Liverpool? L.C. : We filmed it in Liverpool because of the connection that Heathcliff has to Liverpool: found on the streets there in the late 18th century. We know that Branwell Brontë – Emily’s brother – visited Liverpool a few months before she wrote the book, and Liverpool was a hub of the slave trade and Irish emigration, so it’s likely she chose Liverpool as his origin to reference to social and racial tensions of the time. A.L. 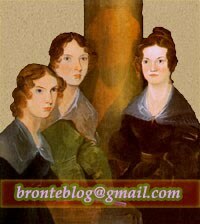 :The Brontës used pseudonyms to gain credibility for their work. Have reactions like [Nick] Holland’s ever led you to consider doing the same? L.C. : I was very tempted with this film – and a book I am writing – to publish under a pseudonym, as so often people judge works based on associations or assumptions they might already have about the author, and I wanted to be able to measure honest responses. But my producer persuaded me to use my own name! Educated by Tara Westover and The New Jerusalem by Patti Smith. Both arrived as gifts into my life, as often the best books do. Educated came from Westover’s literary agent, who happens to be my new literary agent, and it makes me feel very good about working with her because it’s a brilliant memoir. The New Jerusalem was a gift from Patti after we bonded over our shared love of Emily Jane Brontë and Wuthering Heights. I’ve never read Wuthering Heights by Emily Brontë, even though I know it’s exactly my aesthetic – gothic, intense and eerie. Slate, Entertainment Weekly and Post-Bulletin review the film The Guernsey Literary and Potato Peel Pie Society. To be in with a chance of winning a signed book [I Am Heathcliff] from the dip, RT and reply to this thread with your favourite Wuthering Height's quote. You will also need to follow @BoroughPress so that we can DM you if you win. Competition closes 17th August. UK entries only. Chicago Public Library publishes a reading list of Brontë readalikes for teens; The Books Perfume posts about Jane Eyre.